I am a proud mom whenever I see a new learning milestone of my son. I am always surprised whenever he will make new things and make a new drawing from his imagination. I usually file most of his works in a folder and I share some of them on Facebook. 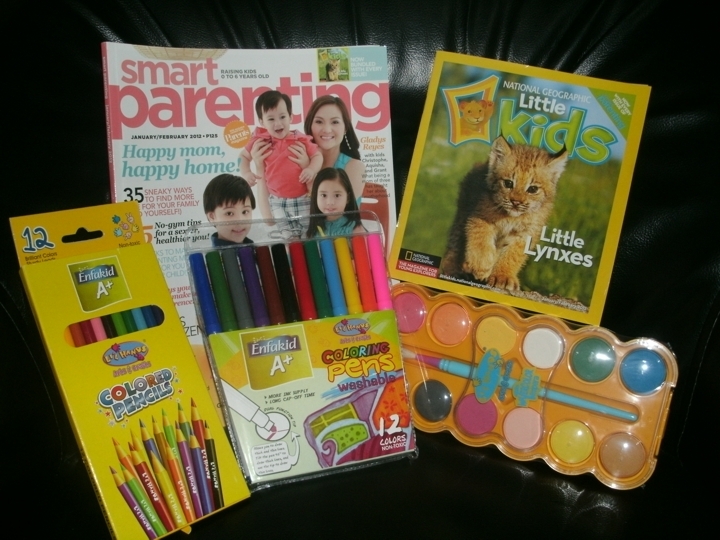 I thank Mead Johnson for sending some art materials at our doorsteps today. My son is excited to use it. So, here is a good news for parents with talented kids. 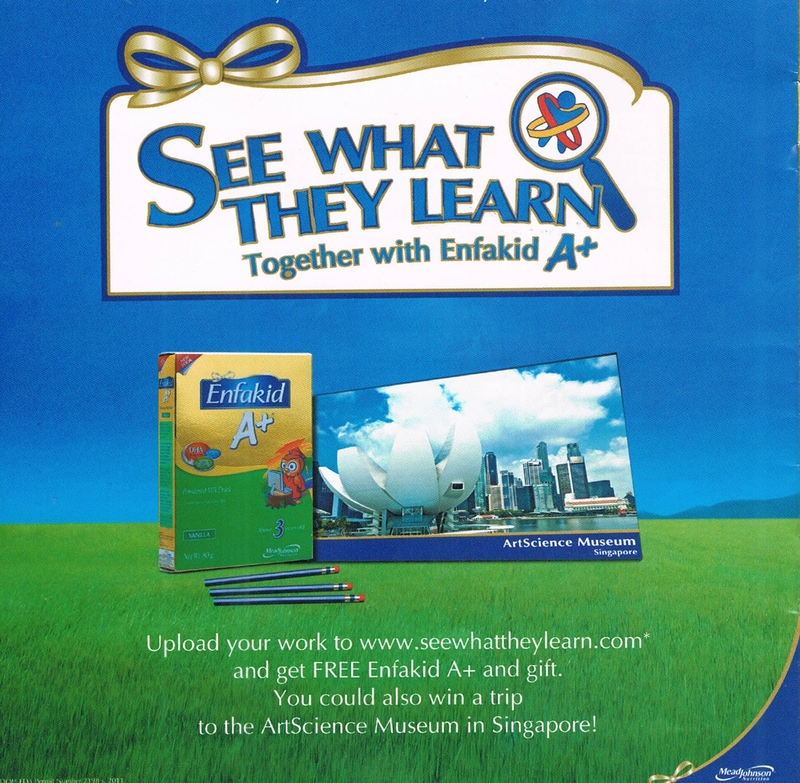 You can now help your kids upload their drawings that will give them a chance to win a family trip to the Singapore Art Science Museum through the Enfakid A+ See What They Learn promotion. With a partnership with National Geographic Little Kids, the contest calls on moms and dads of kids ages 3 to 7 years olds to submit their illustrations of anything fascinating that they learned from Jan-Feb issue of National Geographic Little Kids (this is included in the Smart Parenting Magazine), or from the website kidsblogs.nationalgeographic.com/littlekids/. The entries should be submitted on www.seewhattheylearn.com. The entries will be displayed for public voting on the site until March 30, 2012. After the votes are in, the Top10 entries from kids ages 3-4 yrs. old and from 5-7 yrs. old will be shortlisted. After that, a panel of judges will then select two (2) Grand Prize Winners from the Top 10 of each age categories. Each winner will receive a Trip for four (4) to the Singapore ArtScience Museum (inclusive of Airfare, accomodations for 3 days and 2 nights, museum entrance fees, meals for the duration of the trip and even pocket money) isn’t that great?! Oh by the way, every successful entry is instantly rewarded with a FREE Enfakid A+ and Li’l Hands pencils to be sent directly to the entrant’s doorstep. The winners will also be featured in a future issue of National Geographic Little Kids. Used magazine or newspaper for gift wrapping! proud mommy that god gave me a son who have talent to draw, thank you enfakid A+ for this contest very exciting moment waiting for the judgement day..